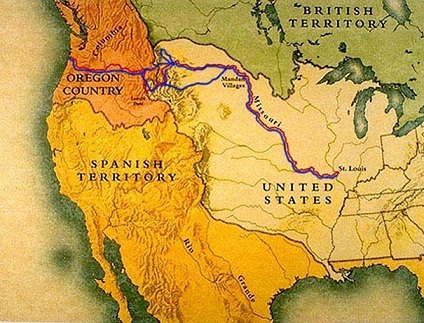 When: Monday, April 8, 7 p.m.
What: Arch Ellwein of Sidney, Mont., will bring a member of the Lewis and Clark Expedition to life when he speaks to the History and Heritage Book Club. Ellwein will portray Sgt. John Ordway, the only man to have written a journal entry every day of the expedition’s 1804-1806 journey from St. Louis to the Pacific Ocean and back. Those attending will meet Ordway in 1813, seven years after his epic journey with the captains, and gain fascinating insight into the expedition and its aftermath. Featured books are The Men of the Lewis & Clark Expedition by Charles G. Clarke and The Lewis and Clark Journals edited by Gary E. Moulton. This program is made possible by the South Dakota Humanities Council, an affiliate of the National Endowment for the Humanities. It is co-sponsored by Encounters on the Prairie – Central South Dakota Chapter of the National Lewis and Clark Trail Heritage Foundation.